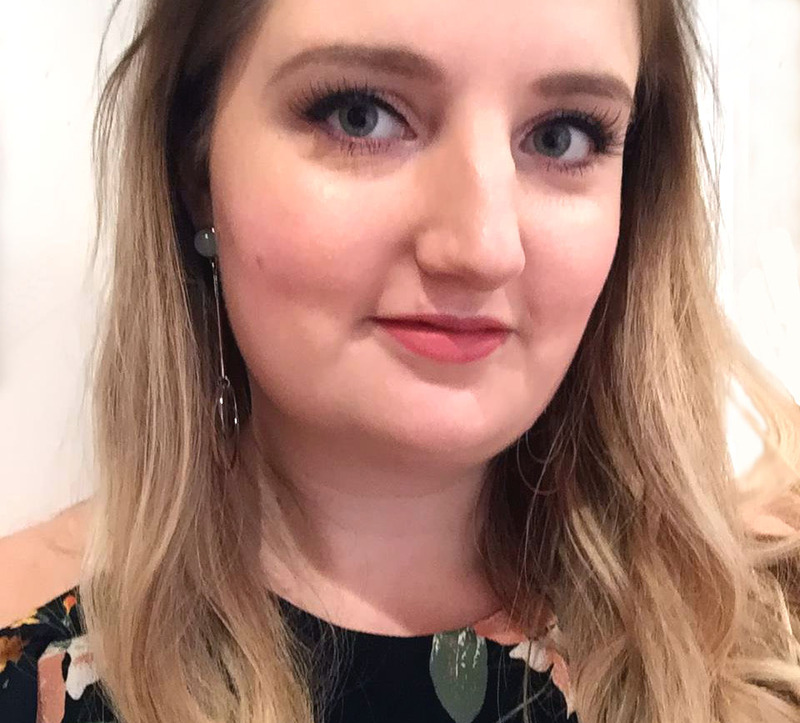 Paisley print skirt – George at ASDA; vest – H&M, jersey boyfriend blazer – Primark; bag – Topshop; metallic jewelled pumps – River Island; plaited hairband – gift; Giant black ring – Primark; selection of bracelets – various; navy ring – holiday souvenir! 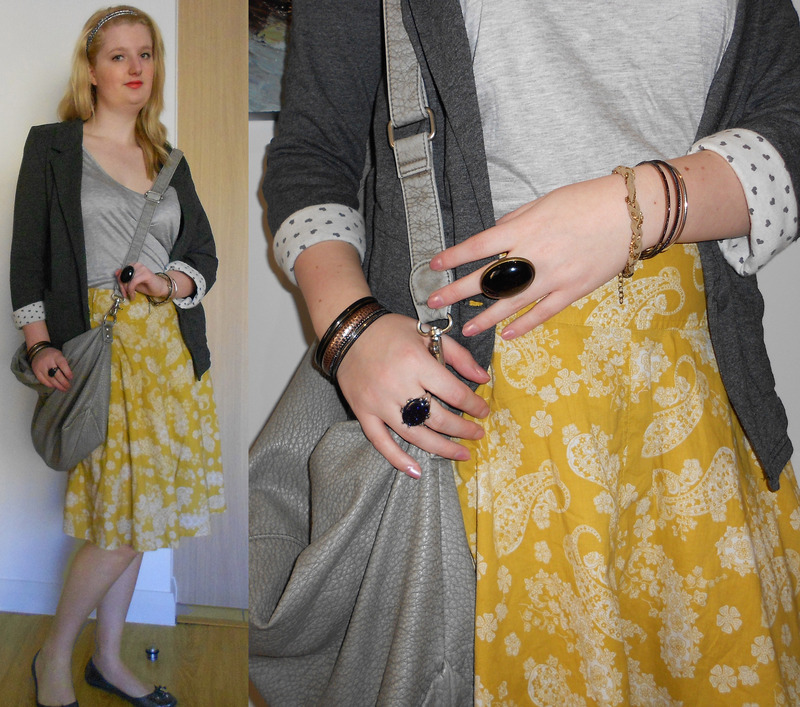 The weather seems to have taken a turn for the worse, so I’m back on the jackets, but now that I’ve got that summery feeling I can’t help but want to wear sun-friendly Spring pieces, such as this cute mustard paisley print skirt and these jewelled pumps. 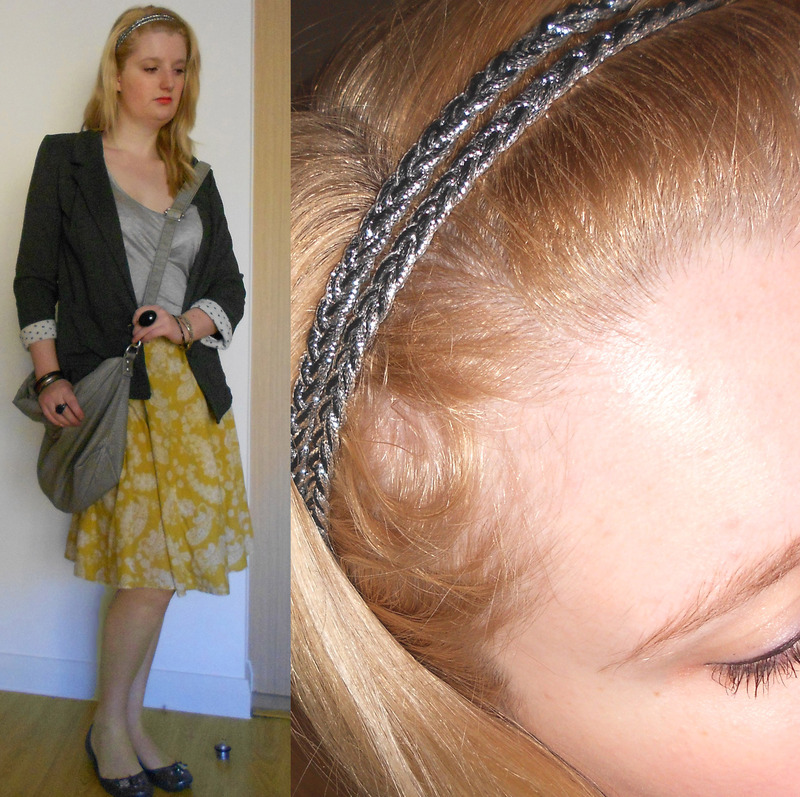 I’m also feeling a little “Gossip Girl” with this cute silver plaited double headband. Last week literally felt like the longest week ever (I’m sure the weather had something to do with it), but happily I now have two short weeks, featuring a lovely Easter weekend, and next week is also Manchester Fashion Week. I have tickets to the Mulberry show on Thursday evening and cannot wait! Next ›Shopping the spring trends – bargain style!